The push to finish the city’s ring road has meant a $340.7 million payment to the First Nation for the land, and has helped create opportunities for economic reconciliation, said Lee Crowchild, chief of the Tsuut’ina. 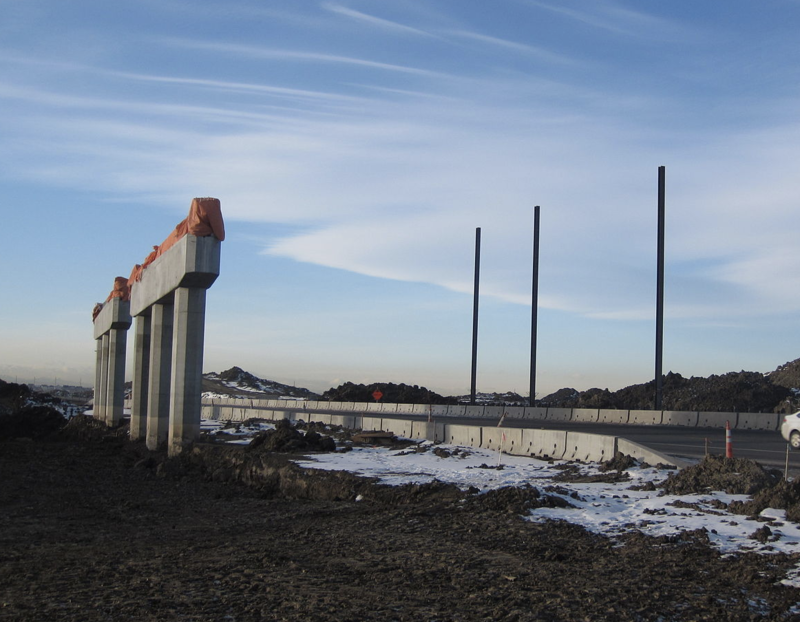 Tsuut’ina ring road under construction. Photo by SFCA via Wikimedia Commons. “This is about Tsuut’ina moving forward into the future,” he said, sitting in the hotel restaurant of the Grey Eagle Casino, the First Nation’s well-established operation that it is planning to expand upon. Having made the difficult decision to relinquish the land for the road, the Tsuut’ina is now planning how to make the most of the significant traffic that will be channelled their way when the road is complete. The First Nation is working on a 500 hectare, multibillion-dollar development along the edge of the ring road called Taza that will include retail centres, entertainment and hospitality complexes, a research campus, and office developments with a health and wellness component. The development is important for the Nation to exert its independence, and is part of a wider push to provide urban opportunities for the fast-growing Indigenous youth demographic who are gravitating to cities, said Crowchild. The Tsuut’ina development is just one of the many developments and initiatives sprouting up across Canada as Indigenous people look to reassert themselves through business, said Jean Paul Gladu, president of the Canadian Council for Aboriginal Business. Challenges persist though, including access to capital and other resources, as well as overcoming a deep distrust, he said. He said the importance is only growing as indigenous youth continues to be the fastest-growing demographic in Canada. The federal government is well aware of the challenge, and has launched numerous initiatives to foster business development and help gain access to capital, said Mohan Denetto, director general of economic and business opportunities at Indigenous Affairs. That gap is significant, said Denetto, with a 23 per cent Indigenous unemployment rate compared to around seven per cent for the rest of Canada. 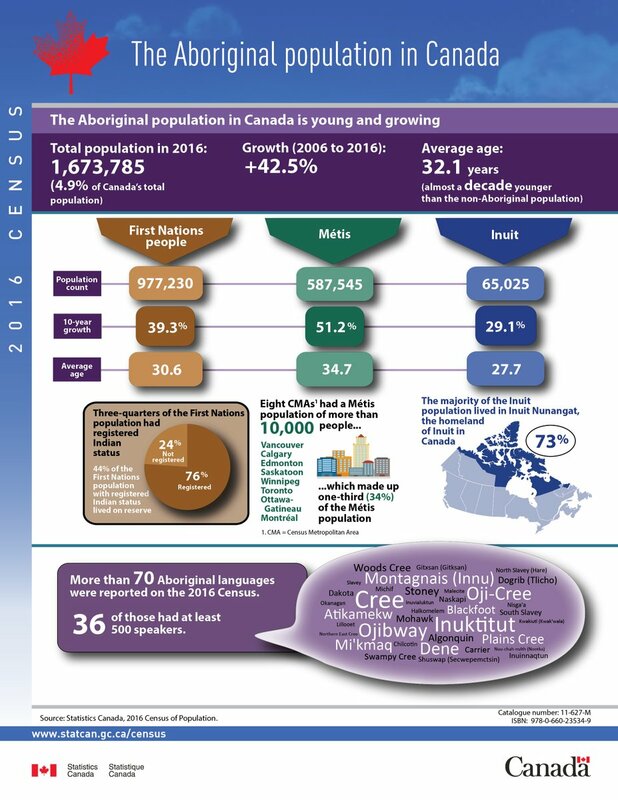 And with the Indigenous population about 15 years younger than the Canadian average, an estimated 20 per cent of the total workforce will be Indigenous within 20 years, said Denetto. Indigenous communities across Canada are adding initiatives, from the Musqueam in Vancouver to the Membertou in Cape Breton, though more remote reserves face significantly steeper obstacles to starting new business opportunities. Toronto is the location for what’s being billed as the first Indigenous business district in the country. Councillor Kristyn Wong-Tam, who’s helping lead the project forward in her Toronto Centre-Rosedale riding, said the district will include street signage and banners similar to Chinatown and other districts, and will be anchored by a 1,486 square metre space for business incubation. She said the district will help create more opportunities in a neighbourhood that already has significant Indigenous social services but little business development, and will help overcome some of the barriers that have prevented growth in the past. For chief Crowchild, the initiatives across Canada show a new era emerging that will help break down barriers, and help nations like the Tsuut’ina reassert themselves.